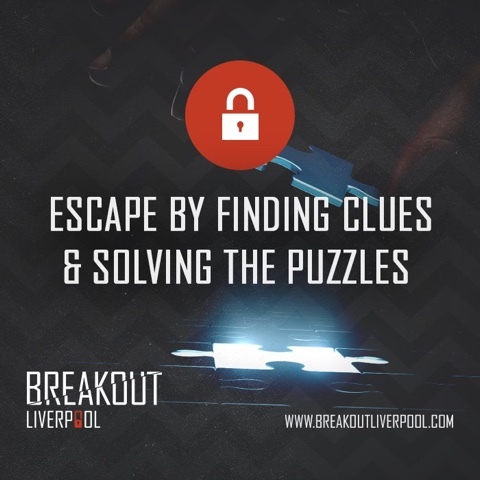 As part of this year’s Pirate Festival activities, I ditched the toddler and headed to Breakout Liverpool, the real life escape room game, for some grown up fun and to try my luck at their ‘Shipwrecked’ room. We were greeted by the friendly team, and met with our designated Game Operator to talk us through the aim of the game, what to do if you get stuck, and some health & safety advice. It was reassuring to learn that you don’t actually get ‘locked’ inside the room; in fact you can come and go as you please (e.g. for the loo or a breath of fresh air), but it’ll eat away at your clue-solving time so it’s worth bearing that in mind. Without giving too much away about the game itself (they’re all shrouded in secrecy and no photography is allowed), the ‘Shipwrecked’ room was the perfect pirate themed activity. Think pirate ships, treasure chests, and candlelight. 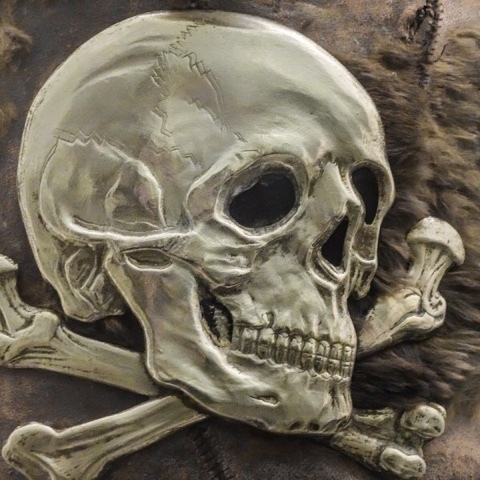 You’ll never hear the Hans Zimmer theme to Pirates of the Caribbean in the same light again once it’s accompanied the tension of fumbling with padlocks like your life depended on it as the minutes count down. I was glad I took a bottle of water in with me as I soon worked up a thirst running around, although the tasks themselves aren’t really physical in nature. It was just the pressure and determination that was making me break out in a sweat – maybe that’s where they really get the name Breakout from! 56 minutes in and we’d all but given up. I sat on the floor shrugging and disappointed, all out of ideas, so near and yet so far. Imagine my horror and embarrassment when we gave it one last push and realised that I just hadn’t opened one of the locks properly and we had, in fact, finally solved all the clues! 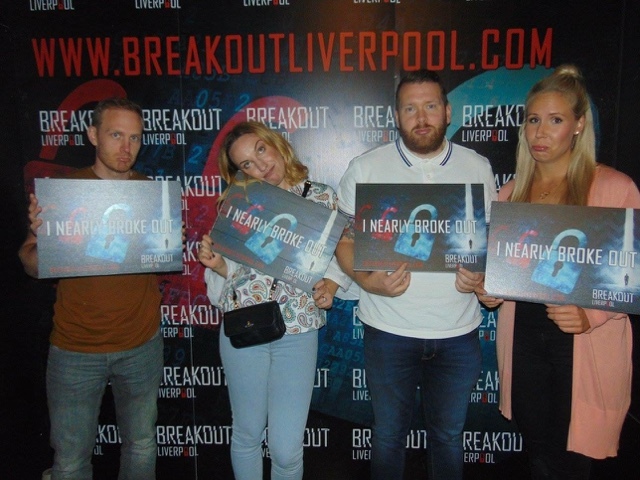 We escaped with a nerve-wracking 19 seconds to spare and it gives you such a buzz breaking out – such jubilation in fact – that you immediately want to do it all again, faster and better, and tell everyone you know all about it and urge them to try it for themselves. I was so excited when I burst out of the door that I didn’t even realise I was still clutching one of the props to my chest and had to have it politely prised from my sweaty hands before leaving. The rules state each group has to have at least one person over 16 present, so Breakout would be ideal for families with older children (it certainly wasn’t suitable for a toddler and I don’t know many kids who’d be able to keep up with the frenetic pace and cope with not being able to solve the advanced clues) and groups of teenagers. It’s the kind of thing I hope my son will want to do with me when he’s older but he’ll probably just want me to pay, give him lifts, and not embarrass him in front of his friends. I’d definitely still describe it as more of an adult activity. It sounds corny, but research shows that working together on challenges (as opposed to against each other or on separate teams) can be a really good bond-strengthening exercise for people in a relationship so it’s a really fun and different idea for couples – perhaps as a birthday or anniversary activity. Of course, it’s absolutely perfect for groups of friends, you jst have to make sure your bossy mate doesn’t take over – especially if they’re all talk and don’t actually help solve the clues! 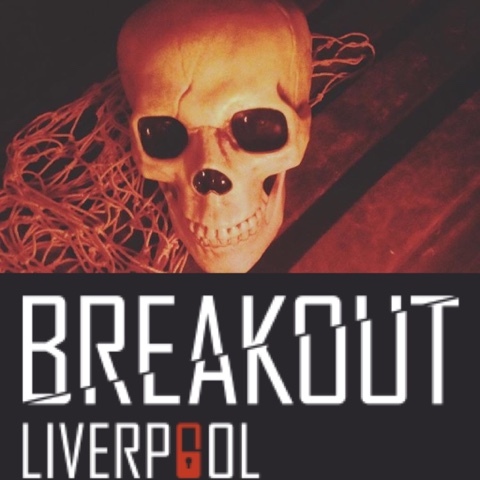 Groups of 2-5 can take part in each session so if there’s a big gang of you then you could split into two and try out different rooms such as the ‘Wanted‘ Wild West themed room, the ‘Cursed Carnival‘ haunted fairground room, or the ‘Classified‘ secret agent room. There’s different levels of difficulty too; Shipwrecked was only 3/5 for difficulty, so it turns out those 19 seconds weren’t quite as impressive as we initially thought. Which sign will you get to hold up at the end? 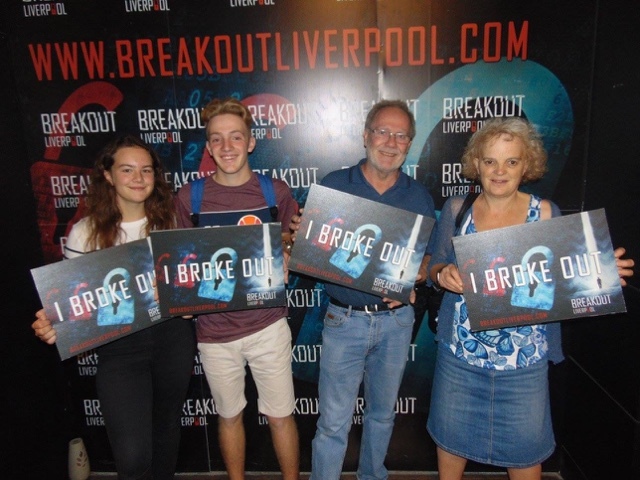 I’d been meaning to try Breakout for a good year because I always thought it looked fun, and I’m so glad I made the effort to try it out because it was even better than I thought it would be. I absolutely can’t wait to go back – one visit just isn’t enough when there’s other rooms to try and you still need to beat your ‘Personal Best’. Remember – it’s only a game! 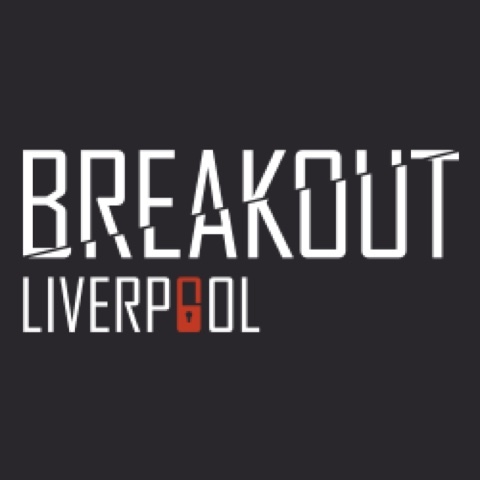 Follow Breakout Liverpool on Facebook, Instagram and Twitter for news and offers, and to book your first game. Let me know if you can beat my 19 seconds to spare! Good luck!